Come along with me and see what I saw, hear what I heard, drink from the spiritual fountain of life-giving water that was given to me. For four years I studied at Aristotle University of Thessaloniki but during that time I learned more from my encounters with nuns than I could have from countless degrees. I met holy people, heard incredible stories, helped with interesting work, and made a few quirky mistakes as a foreigner along the way. But I gained invaluable experience as an Orthodox Christian. Longing to learn true theology I went and sat at the feet of the greatest scholars, a monastery full of nuns. 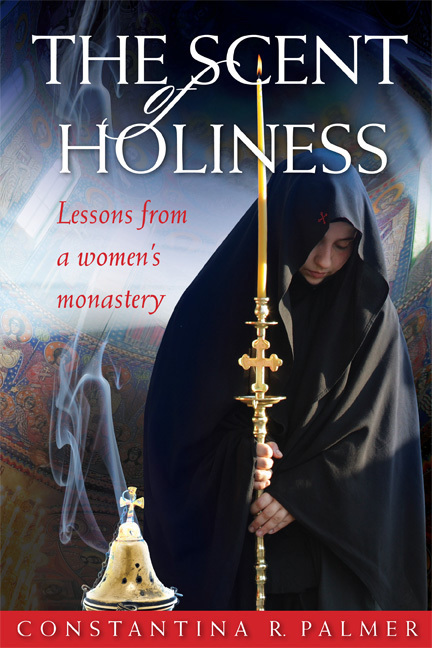 The Scent of Holiness: Lessons from a Women’s Monastery is a collection of stories of my frequent trips to women’s monasteries in Northern Greece, and is meant to be a modern-day Materikon written by a layperson for laypeople. Although the stories take place at a handful of monasteries, I set them all in the one monastery to which I traveled most often. The writing style in The Scent of Holiness is more reminiscent of a journal, rather than a chronological narrative. The purpose behind this is to offer the reader not merely a memoir of my experiences at a monastery, but rather a chance to encounter life in a women’s monastery. Together the reader and I gradually learn how to lead a more fulfilling spiritual life, participate in the monastic life, become better acquainted with the depth of spirituality in female monastics, and experience the Orthodox faith in an Orthodox country. Although the book focuses on encounters with Orthodox nuns, it was written for the spiritual benefit of both single and married men and women alike. 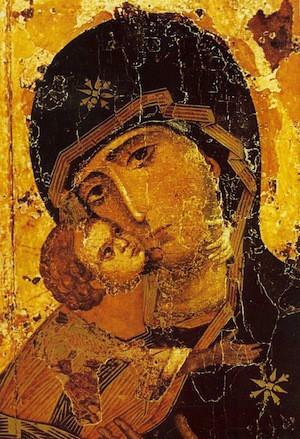 It is for busy mothers and fathers who may not have the time and ability to frequently visit a monastery. 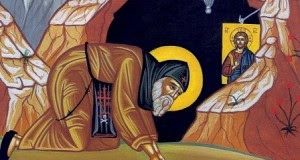 It is for interested youth or those considering the monastic life and looking for a detailed description of the everyday work, prayer schedules, and environment of an Orthodox monastery. It is for converts and cradle Orthodox who have not had the opportunity to live or travel in an Orthodox country, and who long for the faith that permeates the air in the “old country”. 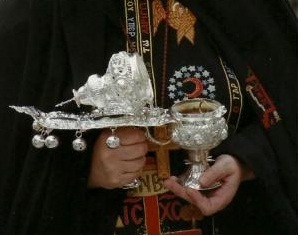 It is even for the non-Orthodox who desires to understand the traditional beliefs and practices that continue unbroken within the Orthodox Church for thousands of years. Ultimately it is a book for Orthodox and non-Orthodox men and women alike who desire an intimate glimpse of monastic life and of Orthodoxy generally. My hope is that the “sayings” and experiences in this book will offer my fellow struggling Christians similar monastic wisdom as found in the collections of sayings of the Desert Fathers and Mothers. The Scent of Holiness: Lessons from a Women’s Monastery is available for purchase (both as a paperback and as an e-book) on Amazon and Conciliar Press’ website. For orders outside the US you can order from Conciliar Press. Amazon will only send hard copies of the book to residence in the US but the e-book is available in all countries and can be read on PC computers, not only on e-readers. To hear an interview with the authour on Ancient Faith Radio, see here. To listen to the authour give a talk on the book and monasticism more generally, see here. To read an interview with the authour on Byzantine Texas, see here. To read a review of the book, see here. To hear a review and excerpt of the book, go here. If you wish to contact the authour, you can e-mail her at wiserthantheworld (at) gmail (dot) com. The Scent of Holiness: Lessons from a Women’s Monastery is now available in Romanian translation, published by Sophia Press. You can order your copy here. I can’t wait to read your book! I and my hubby are catechumens at a Greek Orthodox Church in the Unites States. blessings to you! I loved being a catechumen. I hope you and your husband are enjoying your time learning the faith! O yes we are! its been an amazing journey so far! My hubby and I and another family that live in the same town as us are praying for a mission church to open up in our town because South Dakota only has 2 Orthodox Churches. both my hubby and I and the other family have to drive an hour every week to go to church and things are happening. in my town there is a Methodist University and they have been having meetings with our priest because they are so curious and interested in Orthodoxy and there are lots of people that have said that if the church wasn’t so far away they would be Orthodox. The University starting this fall want our priest to do Vesper Services. So who knows maybe God will call the University home to Orthodoxy and we can have a mission church open up. anyways blessings! Julia, I feel your pain! We’re from a province in Atlantic Canada and it only has one Orthodox church, also Greek. When I became a catechumen I was living away from my hometown (where the Orthodox church is located) and also had to drive just over an hour to go to church. It’s difficult, but Christ will reward you for your struggle and perseverance to go to church – no matter how far. And hopefully, like you said, a mission will open up in your university town and then many more can have the opportunity to learn about (and fall in love with) Orthodoxy. I’ve put in my pre-order and am eagerly awaiting the book’s arrival. This book is the selection for our next book discussion at our Church. We are all looking forward! Oh, I’m glad. I hope you all enjoy it! I loved reading your book “Scent of Holiness” recommended to me by a nun I spoke to at St. Anthony’s Monastery in Arizona and I enjoy reading”Lessons from a Monastery” very much! We were also so blessed to meet the Gerontissas and another sister from Volos! May we have their prayers! Panaghia mazi sou! 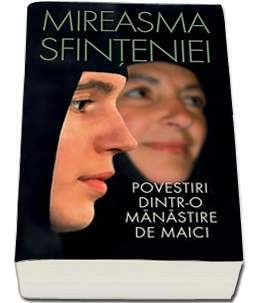 Is it possible to get a copy of the Romanian translation of The Scent of Holinessn in the US? Christ is risen! I’m not certain if the Romanian translation is sold anywhere in the US yet. But I would think some of the monasteries might be interested in selling them in their bookstores… I’ll let you know if I hear of any place selling them. Thank you for sharing and I am inspired by what you wrote. I loved reading Mother a small part of Mother Macrinas life. Do you know more? If so where can I find it? I went to the Holy Land and feel so much more connected to the breath of our church, Monastary’s. I was wondering if you know the name of the Greek song you spoke of in the book (about the Fall of Constantinople and a lament for Agia Sophia)?